iOSnoops is constantly on the lookout for great deals, and here are 39 iPhone and iPad apps that have just been discounted. 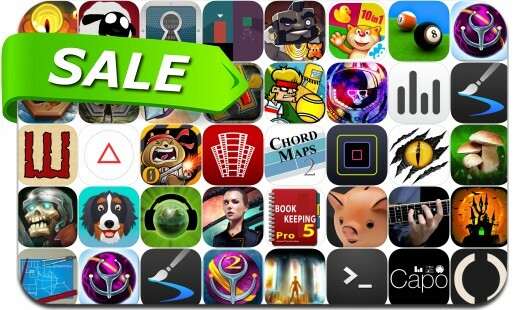 This app deal alert includes Out There Chronicles - Ep. 1, Out There: Ω Edition, Gunslugs 2, WebSSH Pro, Stock Portfolios RT, Inspire, Azkend, King Oddball, Sparkle, Tennis in the Face, Databit, Pool Break, King of Dragon Pass and many others.